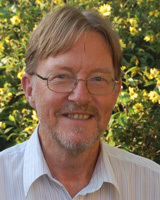 Piet van Leeuwen is Editor-in-Chief of Catalysis Science & Technology and a Group Leader at ICIQ in Tarragona, Spain. Piet worked with Shell Amsterdam for twenty six years heading the section for basic research in homogeneous catalysis. He also initiated and led the homogeneous catalysis group at the University of Amsterdam as a Professor of Homogeneous Catalysis from 1989 until 2007. He held a chair of Industrial Homogeneous Catalysis at the Technical University of Eindhoven from 2001 till 2006, where he was also director of the National Research School Combination on Catalysis. Piet has authored 350 refereed articles and reviews, many book chapters, edited several books, and is author of a textbook on homogeneous catalysis. He has been at the ICIQ since 2004. Why did you choose to work in the area of catalysis? Originally, I chose to work for Shell. In this environment doing organometallic chemistry and coordination chemistry I learned that in the long term the new fundamental knowledge we were uncovering might be useful in catalysis. This idea appealed to me, and it still does. It is nice to combine exciting chemistry with future applications in sight. We are working on nanoparticles – bringing together homogeneous and heterogeneous catalysis, bimetallic catalysis, and supramolecular catalysis! You have worked in both industry and academia – how do these areas fit together in the field of catalysis and is the relationship changing? Catalysis research has always been strongly linked to industry. Many catalysis research themes find their roots in industry and until two decades ago most inventions of new catalytic reactions stemmed from industrial research laboratories. There are no industrial research labs left that do long term research and this has shifted to universities aided by all sort of financial schemes. In the last two decades we have witnessed an enormous growth of catalysis within the realm of organic synthesis, which has enriched the life of catalysis scientists enormously. Many leading experts are pursuing vigorously applications of their systems and industry indeed has installed a large number of these. I am not writing a plea for “applied research”; curiosity driven research and serendipity remain indispensable ingredients for future inventions. What role do you see for catalysis in our future? for fine chemicals, can bring about important savings. Welcome to the Catalysis Science & Technology Editorial Board! What excites you most about your new position of co-Editor-in-Chief? Actually I was a little bit scared in the beginning, as it seemed risky to start a new journal! The RSC team did a fantastic job in starting up the journal. The web has changed the publishers´ way of doing this enormously. The next target, of course, is to get good marks in the polls, but we will get there! What is your earliest recollection of chemistry and science? Making ink with tannins and iron salts bought in the pharmacy. I also experimented with soldering! I am proud of the many people who worked with me who did good things!I have a patent on a non-toxic soldering resin, the first use of dendrimers in catalysis, the bite angle story, mechanistic stories, “the” book, SPOs in catalysis, …..
Take a year’s sabbatical after your PhD defence as later you won’t have time for this! I took only half a year and it was easy to convince my two youngest children to take a year off after their Master. There are many exotic places where we can stay only for a short time. I am happy sitting on my terrace with a book and a drink, or another terrace eating tapas with friends! (This sounds more like Spain than the Netherlands!). First I wanted to be a cook like my father, who started working in a kitchen as a teenager. Later when leaving primary school I made an appointment with the local plumber to start with him in September. My father was furious and told the plumber and me “no way”! I still would like to do both but being an organometallic chemist sounds like a good compromise! Piet's cover of issue 3, 2011 Catal. Sci. & Technol.